Sonnenland airport transfer. Carrying you and your family safely from A to B on Gran Canaria is what we are passionate about, and we take pride in providing you with the best possible service. We compare prices from Sonnenland’s leading airport transfer companies at over 300 different destinations. Use the search engine below to find cheap transportation from and to the airport in Gran Canaria. We offer a wide range of airport transfers at most of our destinations in Sonnenland and the rest of Gran Canaria. We make it convenient for you with quick and easy order so you can take it easy and forget about having to get in the taxi queue at the airport, train station and bus station. How about making your holiday a little more special and treat yourself and your family a bit of luxury with a private car or maxitaxi with driver? Many times it’s great to drop full buses that stop many places on the way to your destination. Or maybe you are a group that needs your own minibus. 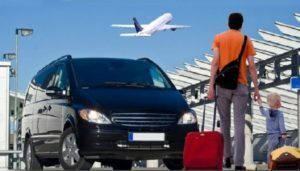 A good selection of airport transfers in Sonnenland from many different providers means that we have transport to you regardless of budget, ranging from economy to luxury class. If you need car hire in Sonnenland, its easiest to order the rental car online and pick it up when land at Gran Canaria Airport. Then you easily can return the car when traveling back to your home country, and you do not need alternative transportation to and from airport. In most cases, this is less expensive than using small local car rental supplier in Sonnenland. 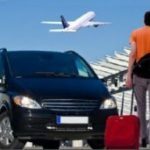 Airport transfers in Sonnenland is easy in Spain, but there are still big differences between the different transport companies. Most people order airport transfers in Sonnenland on the internet. It is easy and in most cases you get cheaper price than by booking on arrival to Gran Canaria. In addition, the selection is much larger. Use our comparison service you find above to get the most out of Sonnenland airport transfers. We compare prices from Gran Canaria’s leading companies, so you can choose which car, bus, or taxi you want. Above Maspalomas and Meloneras south of Gran Canaria is the small resort of Sonnenland. The place with the German-sounding name does not have as many hotels as the other resorts on the south side of the island, but here you will find a good deal private apartments and bungalows. Many hotel complexes located here, has sold their apartments to foreigners who want a vacation apartment in the Mediterranean. The majority of those who have chosen to settle in Sonnenland is also German speaking, but also live a good part Spaniards in Sonnenland occasionally. Many of them have bought a “cottage” in the south of Gran Canaria, which they use in weekends and holidays. Especially in the Easter holiday is full of people who travel south from Las Palmas and other places further north of Gran Canaria. Some of the hotels located in Sonnenland is Dunas Mirador Maspalomas, Palm Oasis Vista Oasis, Ataitana Faro, El Cardonal, Vicksol and Venesol. Of shops and restaurants there are not so much on the actual Sonnenland. At the Hotel Mirador Maspalomas is a small shopping center with some shops and eateries, but you should have a better selection should rather make the trip to center Faro 2, between Sonnenland and golf course down in Maspalomas. Alongside Faro 2 is also amusement Holiday World and it is a short distance from Sonnenland away to Aqualand Water Park. Although Sonnenland has few hotels and not so many other activities, there are also some advantages to vacation here. You do not have to get broken sleep due to the noise from bars and discos, there is a short way to everything around Playa del Ingles and Maspalomas, and as the name implies here it is mostly sunny here year round. Good holiday to Gran Canaria. This entry was posted in Airport Transfer Gran Canaria, Airport Transfer Sonnenland and tagged airport transfer, bus, gran canaria, maxitaxi, sonnenland, Spain, taxi, transport on 12th February 2018 by Vera.